As every site is different, we are happy to make workshops as individual buildings. This way we can position windows in the best place for you to make use of the available light, and put doorways where it suits you best. We can also adapt the building to your personal requirements. In the example above we have made a building with an office area, a workshop and an outer log store under sliding roof. 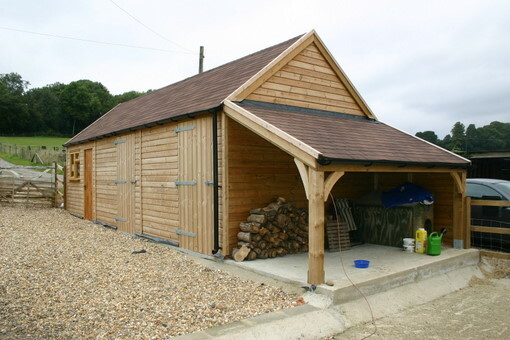 If you are looking for a more standard style of workshop, then please look at the Haven Range Garages or the larger sheds which are easily adapted to Workshop buildings.